Convert most common and popular 20+ document formats to PDF. A high-performance and feature-rich .NET PDF framework to work with PDF files without Adobe dependencies. This framework has PDF creation & editing library which allows you to create, read and edit PDF files programmatically in any .NET applications. It offers PDF viewer controls to view, review and print PDF files from any .NET applications. 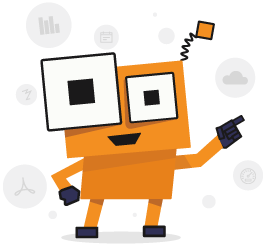 Its powerful conversion APIs make it easy to convert HTML, Word, Excel, PowerPoint, images to PDF and more. Compress or optimize PDF files to reduce your file size to the max. Converts a Word document to PDF for printing and viewing in a portable format. Supports various customization options like embedding fonts, PDF conformance levels A1B & X1A2001, export bookmarks, and more. Converts an Excel workbook or worksheet to PDF format. Provides various customization options like embedding fonts, ignoring empty page or worksheet, show or hide header, footer, and more. Provides the ability to convert a PowerPoint presentation to PDF. The conversion can be customized with handouts and notes pages options. Support converting many image formats such as JPEG, PNG, TIFF, EMF, SVG, GIF, to PDF.